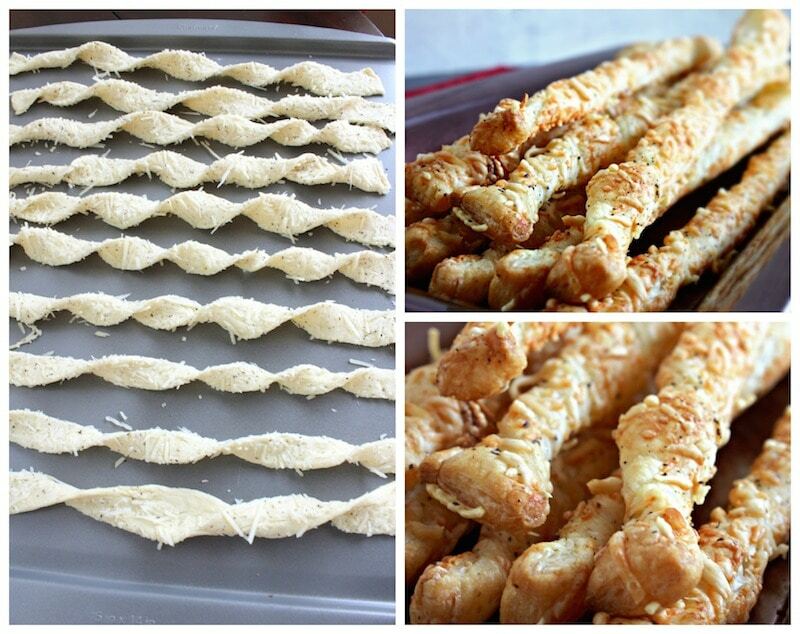 This cheese straws recipe is really easy to make and requires only a handful of ingredients. I love it when you only need a few things to get the job done. Whenever I find something that needs 20+ items, I usually get turned off by the shopping list. If I don’t have the majority of the goods at home, then Mama isn’t making it! Am I right? My family loves cheese straws because they are a really fun appetizer and quick to whip together. We usually eat it with a side of flavorful marinara, but can absolutely eat them on their own as well. It all depends on what kind of day we are having. 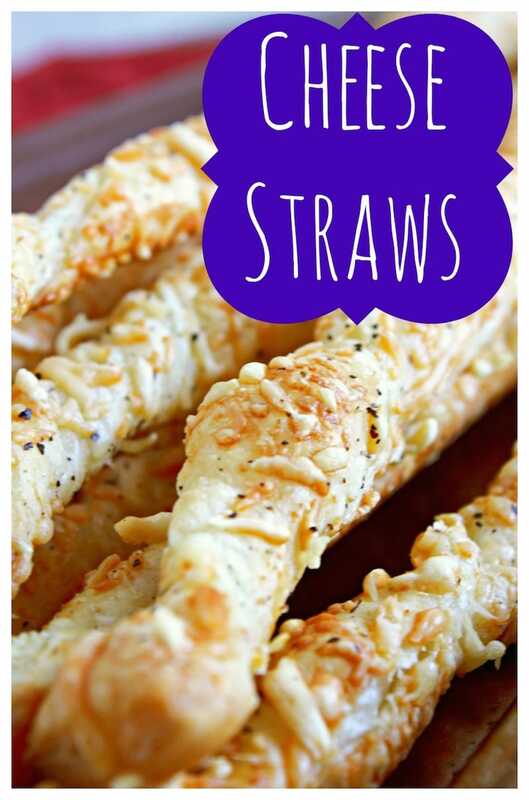 Either way, I have a feeing this Cheese Straws recipe is going to become a household favorite for you as well! Another great perk about this recipe – little prep time. YAHOO! I’m all about spending more time with my kids and less time in the kitchen. I mean, don’t get me wrong. I love to cook, but not at the expense of family time. Ok, wait until you see all that you need!! You are going to be so excited about this. Or at least… I was. YAHOO! Two of the ingredients are salt and pepper – I mean, do they even count?! Ok, it’s garlic salt… but STILL. Open pastry sheet and place the half that was inside the fold face down on a piece of wax paper. 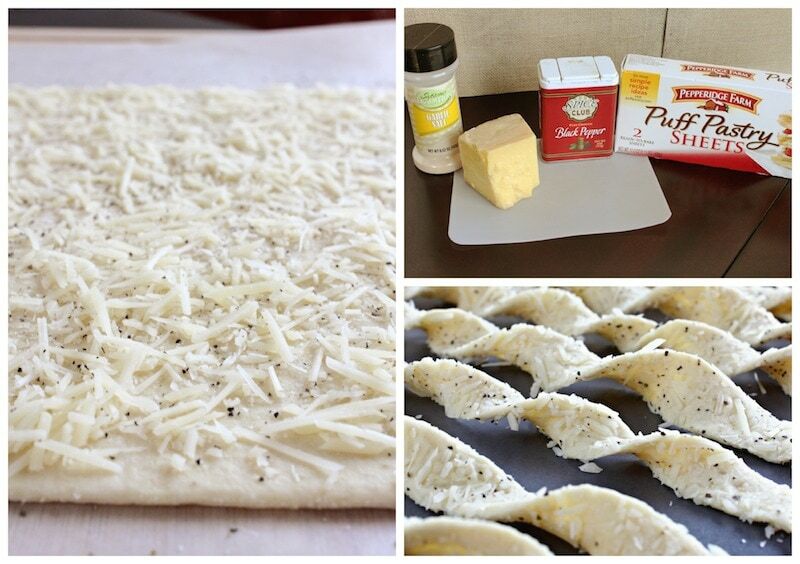 Sprinkle ½ cup of the Parmesan over the pastry sheet. Be sure to get all the way to the edges. Season with half of the Garlic salt and Black Pepper. Place another sheet of wax paper over the pastry sheet and using light pressure with a rolling pin slightly work the cheese into the pastry sheet. Keeping the wax paper in place turn the pastry sheet over and repeat the process. Peel the paper slowly. If it sticks, just scrape the dough down with your finger or a knife as you peel it. Repeat the process with the cheese, seasoning and rolling. Remove the top piece of wax paper and using a pizza wheel cut the sheet into ½- ¾ inch strips. Pick up the end of a straw and as you peel it off the paper twist it. You should get about 4 twists. Place on nonstick cookie sheet or parchment lined baking pan. As the cheese falls off just pick it up and lightly push it on the next strips. Bake at 425˚ until golden brown and delicious, 8-10 minutes. What do you think?!! Are you going to give this one a try. I sure hope you do!! This cheese straw recipe is going to become part of all your holidays. I can just feel it. To see more of my easy recipes, click here. Looking for appetizers specifically?